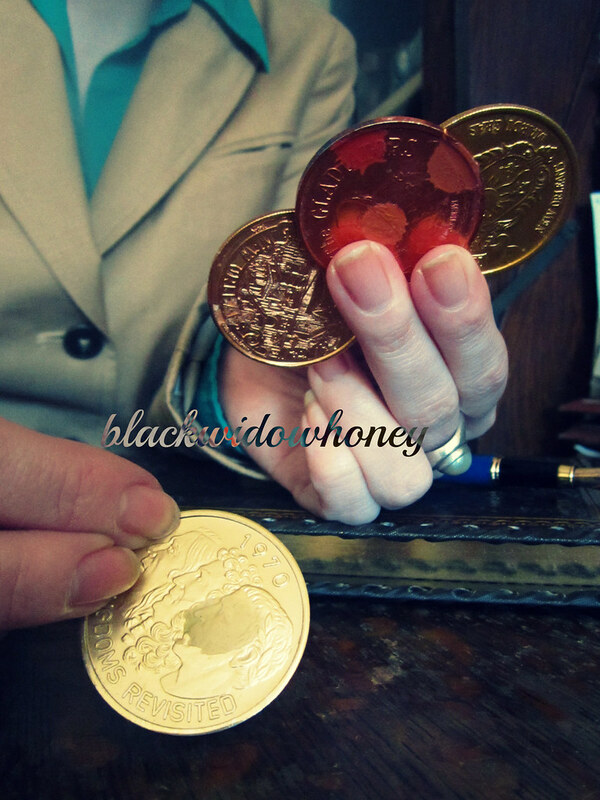 The Four of Coins is a miserly card- whether that is miserliness out of greed, or penny-pinching out of necessity, it denotes a clinging to one’s money and resources (that is not always a healthy thing). We hit upon the idea of accounting fairly early- it was something we had considered for the Two of Coins, but ultimately rejected in favor of the more abstract “weighing”- but for this one, the idea of Stephanie with a ledger and a couple of coins seemed like it would get that sense of bean counting across. This was again one of the easier cards to shoot, both in theme and in practicality- both Stephanie and I have weathered the recession as young adults, and thus “concern about financial security” is a state of mind we can both slip into easily (if we ever even leave it in the first place). 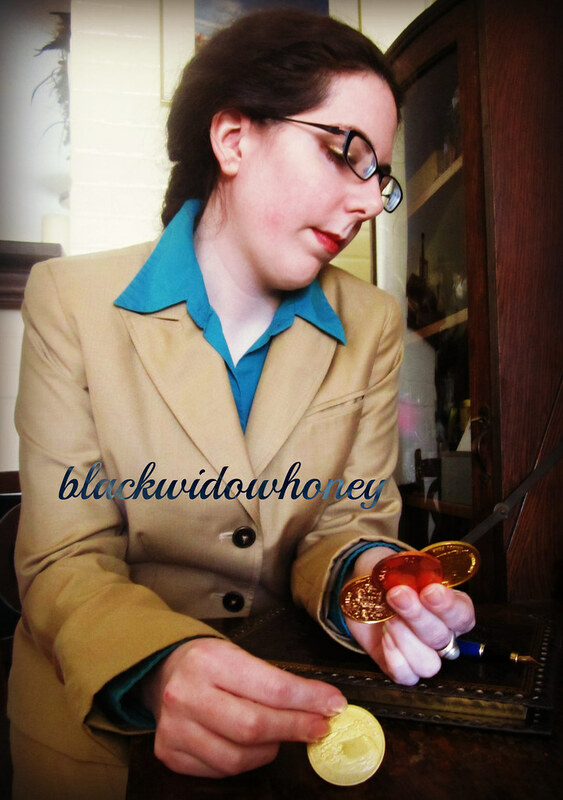 For shooting, we aimed to give Stephanie more of a overtly business look; the suit combined with my antique secretary desk went a long way toward conveying a sense not of poverty, but of careful concern. Overall, I think these turned out quite well. My only complaint was that I wish the backdrop were more even. I may have to go through and re-edit down the road. See Stephanie’s version of events here, the full Flickr set here, and don’t forget to check us out on Facebook and on our Black Widow Honey site!